Dr. Wang’s interests are in the areas of intellectual property law and policy, corporate finance, innovation, and entrepreneurship. Her research employs empirical methods, law and economics theories, and comparative analyses. She teaches legal writing for the LL.M. Program in International Intellectual Property Law. Dr. Wang has two bachelor’s degrees in industrial engineering and in law from Beihang University in Beijing, China. She also received her LL.M. and J.S.D. from University of Illinois College of Law in Urbana-Champaign. Her dissertation was about how to stimulate technical innovation by small and medium-sized enterprises in China, for which she did a firm-level analysis for the IP regime, tax system, and financial regulations in China. She worked as post-doctoral research associate in the same law school for two years, mainly conducting research on a project, how Alice impacts business method applications and software applications within the USPTO. In the summer before coming to Chicago-Kent, she was a short-term invited researcher at the Institute of Intellectual Property in Tokyo, Japan, to research on the distribution of the value of Japanese patents in the world. 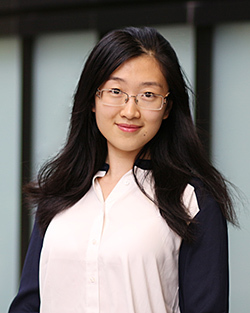 She is also a Thomas Edison Innovation Fellow (2018–19) sponsored by George Mason University, empirically researching on the guiding cases of copyright law in China.